Last week, my son finished kindergarten. A few years ago, I would have let that moment slip by. Honestly, moving on to first grade is pretty automatic and it would have been a normal right-of-passage, like losing a tooth. My wife would have handled the celebration, and I would have smiled and congratulated him while making snarky comments like “it’s just kindergarten” to my wife as she unsuccessfully tried to show me that every moment is important. When that day finally came, I didn’t need my wife’s convincing. When I walked in the door after work, he ran to me and told me in a big, proud voice, “I finished kindergarten! I’m in first grade now!”. My eyes welled up with tears as I knelt to hug him and told him how proud I was of him for working so hard. “You did it, buddy”, I told him over and over as he squeezed his hug tighter and tighter. He looked proud of himself, too. Rightfully so. 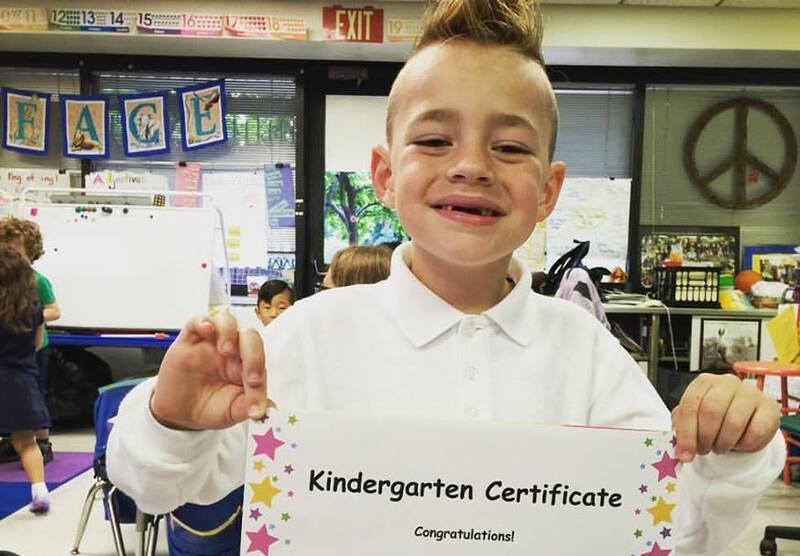 He missed most of preschool due to seizures, side effects, and hospital stays. 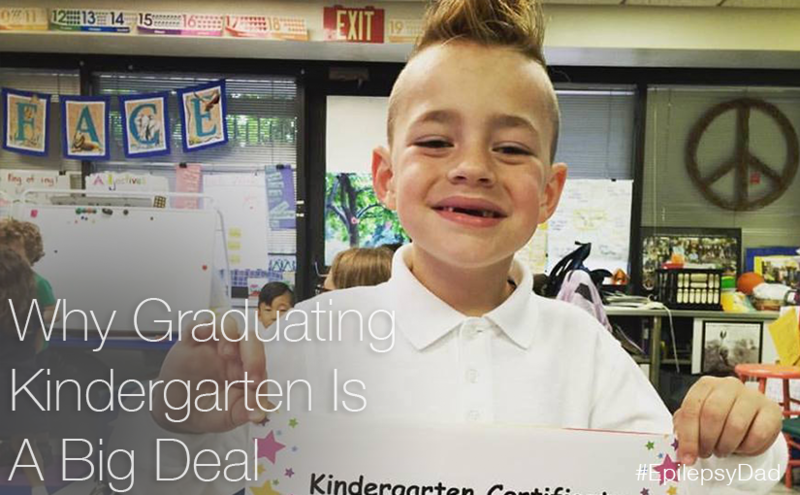 In the weeks leading up to the start of kindergarten, we weren’t even sure he would be able to go at all. His seizures were still not under control, we were still adjusting medicines, he was still adjusting to the ketogenic diet, and his behavior and attention issues were at their height. Dropping him in to a public school kindergarten with 28 other kids seemed like a terrible idea and one that could do more harm than good. It was an unbelievably frustrating process, but we did get him registered and, although the special needs paperwork wasn’t completed, the principal assigned a school resource to act as an aide to my son for the few hours a day that he was physically capable of being there. Until the aide started, my wife was allowed to sit in the classroom with my son, so we had a plan for him to start kindergarten on the first day of school, although with a later start time to allow him to have enough rest to make it through the morning. As a sign of things to come, on the first day of school, my son woke up early, dressed, at breakfast, and walked to school to start at the same time as his classmates. Of course, he had a seizure getting ready, but he didn’t let that stop him and he found the strength to push through. He did that all year long. When his body or mind was fatigued, when he couldn’t find words, or string together a simple sequence of events. When he couldn’t focus on a single task, or stop his body from shaking, or keep his anger and emotions under control. When he felt embarrassed about his special diet and watched the other kids eat whatever they wanted. When he missed chunks of time for therapy, or hospital visits. When he’d go home, exhausted, and sleep for hours, and then wake up and finish his homework and read and just try to keep up. Through all of that, my son woke up, almost every day, ready to put himself through it again. My son had to work really hard to get to that day, and it was a really, really big deal.